Since the foundation of Picchiani e Barlacchi in 1902 more than 110 years have passed: over a century of culture and art embodied in artistic and commemorative plaques, crests, trophies and in many other objects that recall indelible events at local, national and international level. 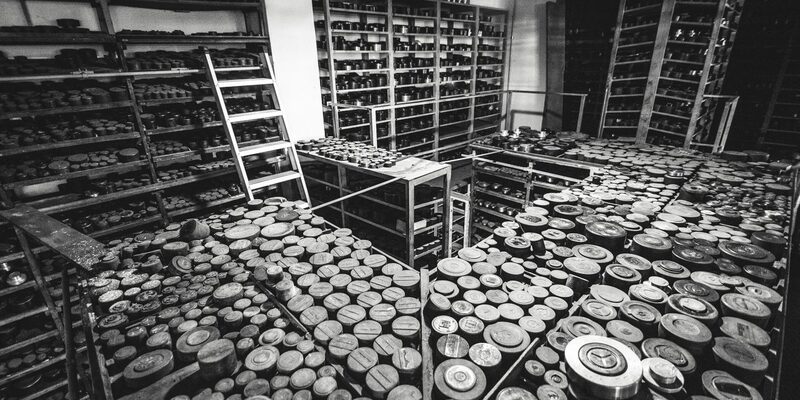 I don’t need to say it, our medals prove it: the Picchiani e Barlacchi archive contains over 300,000 mints that reproduce in the metal the national and international history from the early twentieth century to the 2000s, from the monarchy to the republic, through difficult periods such as the one of war and Nazi-fascism, and including the need to address challenging times, such as the crisis due to unfair foreign competition. My name is Chiara Montauti and I am the owner of Picchiani e Barlacchi. Before me, my father held this role and before him a family member and so on since the company was founded in 1902. 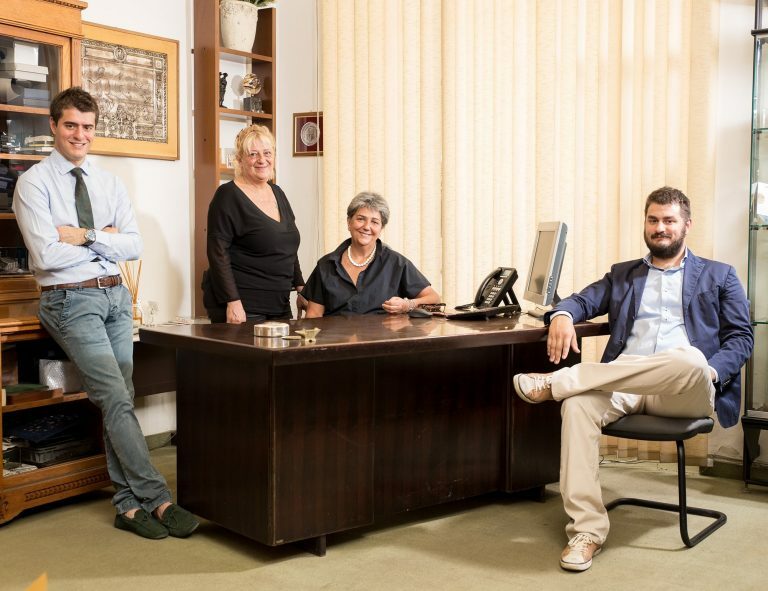 Today, working together with me in the family business is my sister Giovanna and my son Matteo, as well as a team of professionals who have worked with us for many years, some for over 60 years. I could describe my business and that of Picchiani e Barlacchi through many words that describe the company, but I prefer to let the objects speak for themselves which, over the years, have come to life in our laboratories and which even today maintain their value unchanged. Such as the Targa Florio, which has been commissioned to Picchiani e Barlacchi since the first event of the prestigious race in 1905. 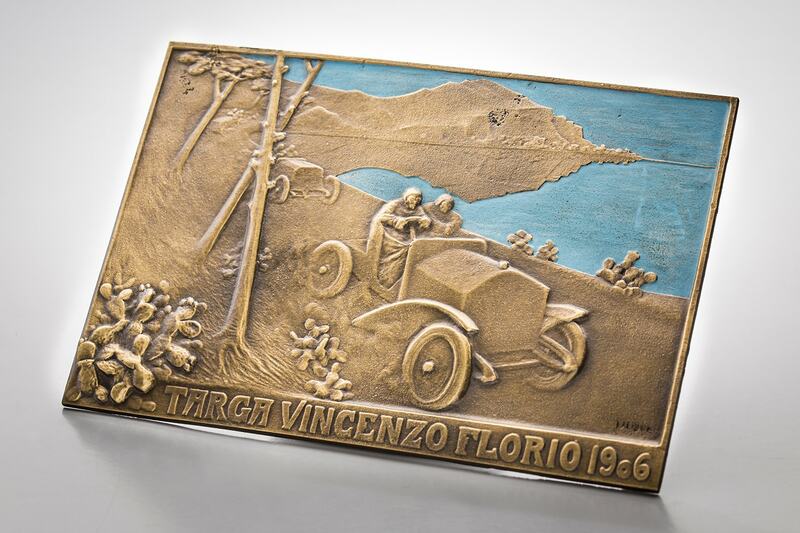 The highly coveted award of the most famous Italian car race in the world is still today minted in our factory near the historic centre of Florence. 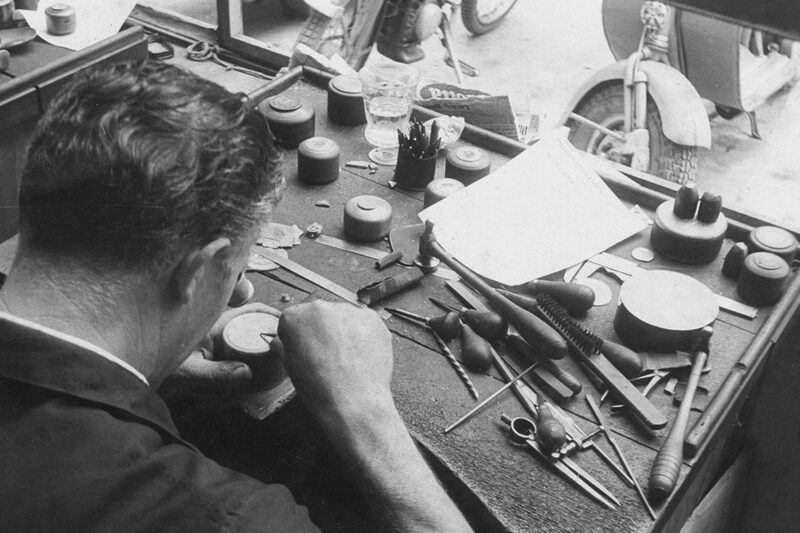 In the 1930s and 1940s, despite the risk of the company being deported to Germany under Nazi hegemony, our company obtained prestigious orders, including the production for all the badges for the Italian team at the 1936 Berlin Olympics . Subsequently Picchiani e Barlacchi, from the new headquarters of the Viale Petrarca has stood shoulders above the rest for having managed to exceed the expectations of clients from all areas: the client portfolio includes the countries of the United States, Panama, Venezuela, Iran, Iraq, Saudi Arabia, Jordan , Lebanon, Ethiopia, Kenya, Belgium, France, Holland, Luxembourg, Libya, Greece, Turkey, Sweden, Austria, Yugoslavia and Poland. 1972 was the year that marked the beginning of a broad collaboration that has become consolidated over time up until the present day. In fact, over the past 30 years, Picchiani e Barlacchi has been a protagonist in the issuing of medals for the FAO. 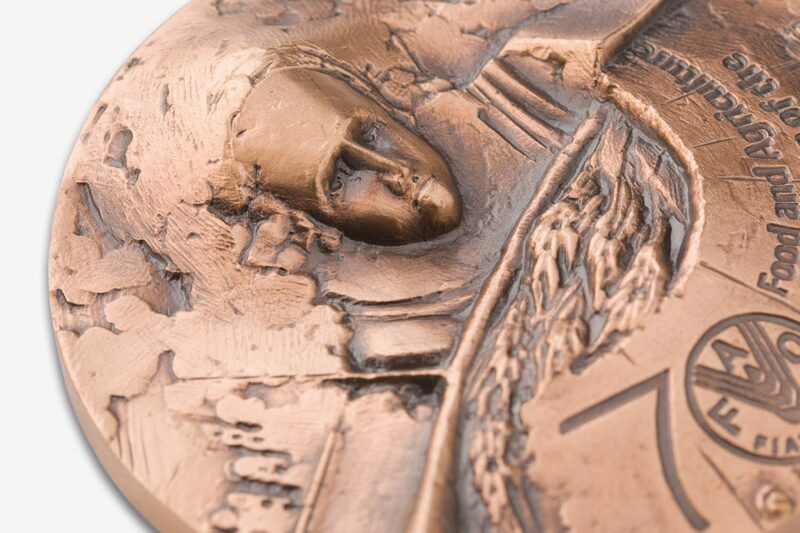 A few years later, in 1976, the company commemorated with an artistic medal the 10th anniversary of an indelible event for Florence: the flooding of the Arno. 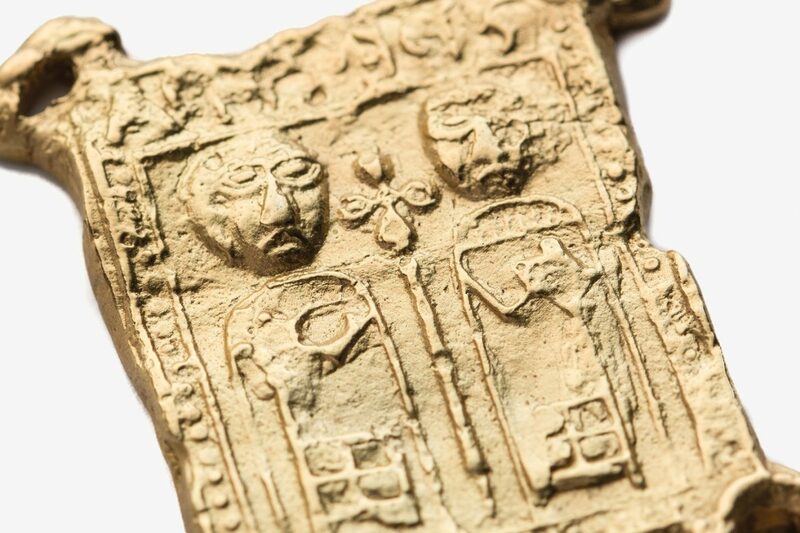 In the Nineties a period of difficulty began, mainly due to the unfair competition of a number of foreign markets, which were offering pre-packaged objects that were truly mediocre in terms of materials and workmanship. Thanks to our corporate values, first of all quality, we overcame every obstacle, as we were able to distinguish ourselves with impeccable, refined and durable products. In fact, in 2013 the leading company of Mega Yacht in the world, Cantieri Navali Benetti, decided to celebrate its 140th anniversary with an artistic Picchiani e Barlacchi medal representing Italian excellence. 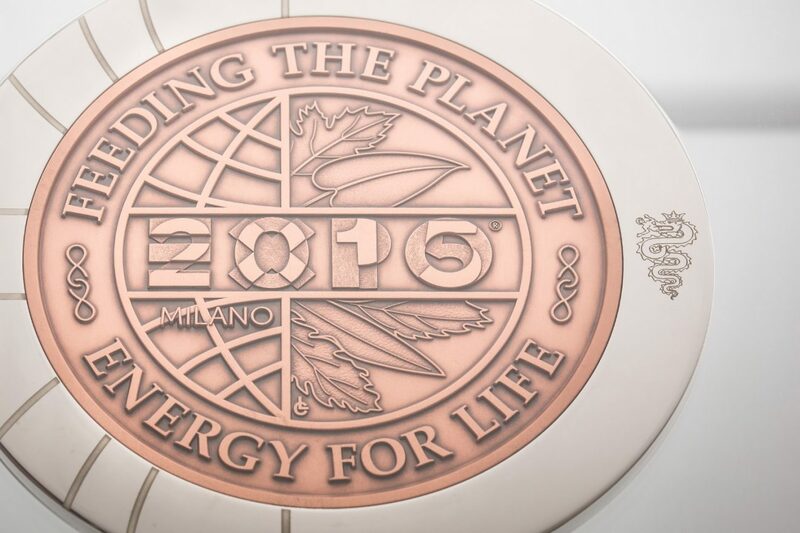 In 2015 the company minted the official coin of Expo 2015 for Heads of State and for the main Italian and international institutions. And, in the same year, we completed the merger of Tombstone ENI for the output and for the success of the issuing of Eni shares. 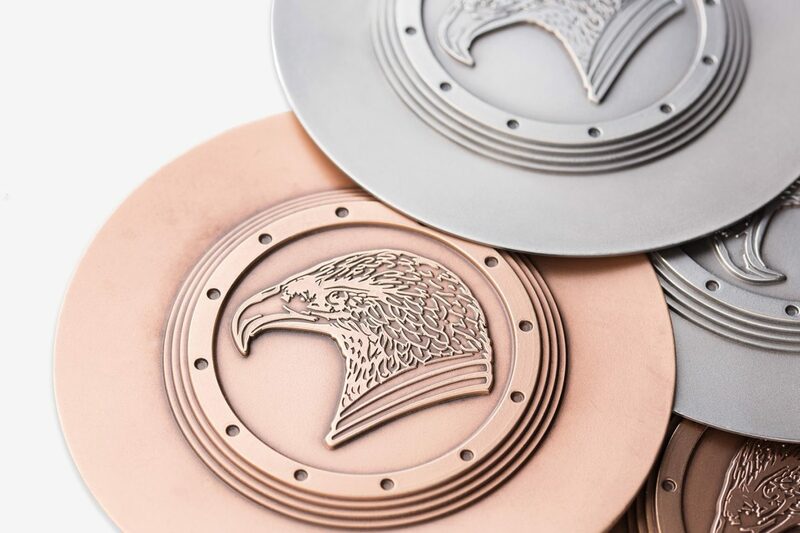 A number of creations by Picchiani e Barlacchi are dedicated to the fashion industry, such as the plaques depicting the eagle of the Stefano Ricci Brand, intended for the packaging of the Florentine fashion house, or the cuff links for the Australian fashion house Rodd&Gunn. Others are intended for the official offices of the State, such as the Honorary Decorations for the merit order of the Italian Republic or the keys of the city of Florence. Still others have been commissioned by lay or religious associations or by military and armed forces. These have included different Crests for the Naval Academy of Livorno, the reproduction of the Placchetta del Pellegrino on the original model dating back to the year one thousand, kept in the archives of the Vatican Apostolic Library, or the medal for the 25th anniversary of the Rotary of Florence and of other Clubs. Even today we continue our relentless pursuit of quality and product excellence without compromising, even when this approach means greater economic investment on our part. We welcome every order with the same care and enthusiasm, designing it together with you and personalising it according to your tastes and requirements.